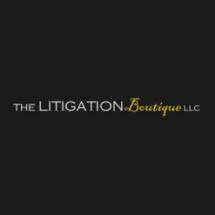 The Litigation Boutique LLC represents its clients in all types of civil litigation, contract disputes, and matters of employment law. Our clients range in size from individuals to large companies. In providing client-focused legal advocacy, we demand superior legal talent. Careful case analysis, top-tier legal research skills, and legal analytical prowess at the highest level is what you can expect when you engage us as your advocate. At the Litigation Boutique, we treat our clients as partners. In all matters of representation, advice, counsel, and in fees. We understand that litigation at any stage is scary for individuals and businesses alike. We are here for our clients to help them through the difficult decisions they face when making an initial case assessment, contemplating litigation, defending against a lawsuit filed against them, or in advocating for their legal rights. As part of our client-centered approach to legal representation, we customize our legal fees based on our clients' needs. Whether we work under a flat or fixed fee for a particular service, an hourly rate, blended rate, or put together a custom service-plan, we want you to be involved. Don't forget to ask about our innovative progressive billing practices. We look forward to serving as your trusted legal advocate. Our clients come first. We are here for you every step of the way.